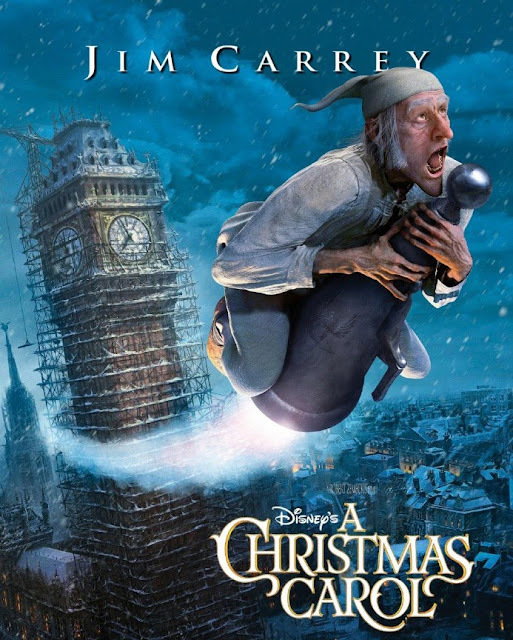 In “Disney’s A Christmas Carol,” Ebenezer Scrooge (Carrey) begins the Christmas holiday with his usual miserly contempt, barking at his faithful clerk, Cratchit(Oldman) and his cheery nephew, Fred(Firth). But when the ghosts of Christmas Past, Present and Yet to Come take him on an eye-opening journey revealing truths Old Scrooge is reluctant to face, he must open his heart to undo years of ill will before it’s too late. A re imagination of a classic tale by Charles Dickens by the visionary Director of Polar Express and Forrest Gump, Robert Zemeckis is back for another masterpiece this coming Holiday season. Just got the chance to watch A Christmas Carol last weekend on IMAX and I'm thrilled to impart some opinions about the movie. This new rendition of the classic novel is as good as ever though I noticed that the execution of this version is so dark and surreal compared to most adaptation I've watched in the past including the theater musical. The representations of the ghosts are too graphic that may leave kids having nightmares after watching it. But I know it would not be much of a problem since parents will surely accompany their kids in the cinema. I also find the movie's ending very rushed. The movie just ends with Cratchit narrating everything that happens after he and Scrooge talked after the latter's enlightening experience. It is not the ending I'm expecting. I expect a more extravagant and not to mention a very dramatic ending. As always, Jim Carrey carried his multiple characters perfectly. For a character actor like him, it is no doubt the job is too easy for him to handle and not to mention enjoys playing Ebenezer and all the Christmas Ghosts a lot. Gary Oldman also did a good job playing the character of Cratchit, Marley and Tiny Tim. This proves that Oldman can play different roles in different ages perfectly and gracefully. Among the other actors that lends their voices are Collin Firth (Fred) and Robin Penn (Belle and Fan) who equally contributed to the film's success. No matter how many times this movie is adapted in different media and different ways. A Christmas Carol will stay as Heartwarming tale that teaches the importance of Love and Acceptance not only during Christmas day but also in all times of our life. I highly recommend this movie to kids and to all young at hearts. Opening on Nov. 25 in regular theaters across the Philippines , as well as in Digital 3D cinemas and in IMAX 3D in SM Mall of Asia and SM North EDSA, “Disney’s A Christmas Carol” is distributed by Walt Disney Studios Motion Pictures International.